Wow, Pippa - amazing. It's really fascinating to see a picture book take shape like this, with the visual descriptions, inspirations and of course, the text! I love the way there are at least two stories going on here - well more, a story for each bear, and in Little Bear's case, a verbal story and a visual story. And a map - I love maps. Also love the way the bees, bear humming, map slightly reference Winnie-the-Pooh which immediately creates a warm, glowing feeling! My query would be - do bears, monkeys, crocodiles etc live in the same place? Maybe it's too pernickety but I think of bears as inhabiting northern forests, and it seems odd to me to have them encountering crocodiles? does this matter? Also, I read the text aloud, and the voice of little bear is lovely, but as a parent/reader I'd like the dialogue at the start to be a little more demarcated from the main narrative I think for ease of reading. Will be interested to see what comments others make. Many thanks for these points, Emma. I must admit that I wondered about the combination of animals being 'wrong', but then thought that actually bears don't really go on picnics, so perhaps one more wrongness didn't matter. But it's interesting that it jarred for you. I suspect that it wouldn't for small children, but might annoy adults, so should be taken into account. Interesting point about the need to know clearly that it is the voice of Small Bear that we are hearing. Perhaps she needs to be introduced with a touch of narrative? Or is there, perhaps a font that shows that it is bear-speak?!! Really interesting what you've done here. I like the mapping out of your mental process. You have extrapolated a great deal from one seemingly simple drawing, which just goes to show that simple isn't as simple as it seems ;-). I also find it interesting that you don't normally have a visual idea of your character when writing. I'm not sure how I could write a story not knowing what my protagonist looked like, but then I am an illustrator first and foremost. The monochrome vs colour idea is nice. Shades of The Wizard of Oz, sort of. My first response to the story is that the pictures would be very complicated, with implied motives going on that have to be shown visually somehow. The monkey tripping SB up to save her from the bees for instance, how do you avoid it looking like a malicious act? And how do you show bees humming without resorting to Beano like text or speech balloons? (both of which I like, but they can be problematic in picture books) But these are issues illustrators face quite often, and it is part of their job to work out ways round them if they can. I love SB's voice, and the lost/found concept. SB being oblivious to threats the reader can see is good, kids will like spotting those. The colour bubble showing the real story as opposed to SB's story is nice too, a fun graphic device, but again, complicated to illustrate successfully. A large format would help. The seemingly anomalous animal question is trickier. It would faintly irritate me, but then I have been an animal geek all my life. Though an asian jungle might supply bears, elephants, suitable monkeys and crocs so you might be safe. . .
One technical point, the 'lost and found office' sign would mean that each language the book was translated into would need an extra black plate to show the sign in that respective language, and that gets expensive, I'm always told anyway. Thank you for all those points, Jonathan. I'm relieved that my idea of Small Bear doesn't feel too foreign to her creator! I think that all the points you make are absolutley right. The story is over-complex, and that's the result of the first draft process of thinking of ideas as I write. So, for example, the idea of Small Bear supposing that it is Big Bear who is lost only came to me when Small Bear was in full flow of telling her story. I now need to cull some of my ideas, and work a stronger main story through a simpler series of visual images. Thank you for letting me play with Small Bear! I thoroughly enjoyed your story and liked your SB character very much – she has a strong voice and endearing character. I like how she bumbled along and had a completely different viewpoint from what was really happening which was being told through the illustrations. The ending had a nice “surprise” with Big Bear finding the new contents in the basket and telling his side of the story through the big bubble, similar to Polly Dunbar’s Penguin idea. Personally, the choice of animals didn’t bother me at all. Seeing the others’ comments, I’m just wondering now if this would be or wouldn’t be an issue with publishers. There is also a lot of commentary to the illustrator in this story and I’m also wondering how much is “permitted” for a writer who isn’t an illustrator and whether something like that is generally accepted by publishers. That said, this particular story did seem to need the extra notes. I have the same question about paginating a manuscript, which I get mixed comments on from industry folks. Emily, thank you so much for your nice comments! The issue of how far an author should dictate content of pictures is something that people have different views on. My feeling is that if I don't tell some of what will be shown in the pictures I will end up telling in my text things which won't need to be told once the pictures are there. And of course it's especially true that what is to be shown might not be apparent from the text if that text is the voice of an unreliable narrator Small Bear! Having said that, I know that some editors prefer to receive texts with no illustrative suggestions at all, and to have the text not divided between pages and spreads. It would be interesting to hear views from both illustators and publishers on this point. What fun this sounds, Pippa! My main reaction has been covered by Jonathan - That you're asking the illustrator to show a bit too much in the way of motives, which would be difficult - (the bees, monkeys point) - but I know this is the beginning of work in progress. My feeling would be that it might be better to show big bear doing all sorts of 'trying to catch up' things within the story behind little bear as we go through, because if all his bridge-building etc came out at the end I think it could feel very complicated for the reader. It has the feel of an old black and white Buster Keaton style movie, where all sorts of funny things go on behind an oblivious character, with perhaps the audience shouting gleefully 'Behind you!" It'd work for me if little bear was oblivious of crocodiles, angry bees et al all the way through. Perhaps Big Bear could be visually rescuing Tiny Bear, too - and exhaustedly gives it back to an unknowing baby bear at the end. 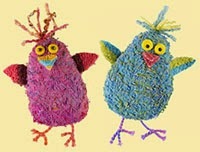 It doesn't bother me at all that you've mixed up creatures, In children's minds it wouldn't matter at all. I think you're spot-on with that suggestion, Moira, and that's very much the way I'd been thinking the whole story could be simplified and clarified. Thank you for clarifying and confirming my thoughts. Hi Pippa. Fascinating post! Jonathan and Moira have said a lot of what I was thinking. You could simplify it and have more interaction from the child reader if Big Bear is in the background in some pictures and Little Bear is really trying to look for him as the focus. So if it's called 'Guess What?' it could be a page turner perhaps and guess what...? Big Bear was still nowhere to be seen... (and we can see him in the background, so the child reader will be shouting THERE HE IS!!!) and at the end, it could be the LOST and FOUND people saying GUESS WHAT..? to Little Bear (in a different font to differentiate it) and we can see that they're about to be reunited... Just a few thoughts. Nice first draft and it's fun to see the workings out of another author. Thanks, Clare. 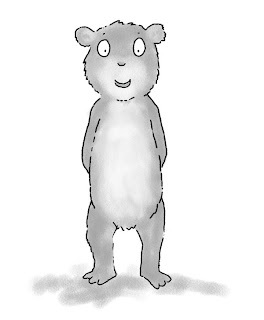 Oo, I like the idea of a 'guess what' chorus,and I'm sure you're right that children would enjoy seeing very clearly how wrong Small Bear's story is. Thanks for those thoughts, Clare! Wow! Interesting experiment, thanks for posting this draft,Pippa. I always love your voice and the LB you have created is gorgeous. Bril monochrome/colour idea, lots to spot in the pics, and fun to help in the search. I'm wondering about the dramatic tension - we see LB narrating,so we know she comes through, maybe make her and the reader more worried about BB by leaving him crocodile wrestling in the pics in spread 10? The shadow (11) - is interesting in that it makes SB a giant, but it feels like it belongs in another story to me - maybe SB needs her own series. That point about having some peril not obviously safely resolved from the start is a good one. And I'm wondering whether a shadow might be used at the end when Big Bear comes along, its shape suggesting something sinister to us before revealing itself as Big Bear? Hmm. Lots to think about. Thank you! I'm really glad you took up this idea for a blogpost, Pippa. I always find it interesting to see how other writers and illustrators approach story making. I agree it needs to be simplified. I love LB's voice, but at times it is a little confusing - I know you are trying to get across a very childlike speech, but I wonder whether schools might not like too far a departure from basic grammar, eg the use of 'found' instead of find. When I read through a text I mark those moments which make me stop and pull me out of the story - for me they were: having a Lost and Found office in a jungle (could the monkeys be the ones who find BB instead, to keep it in a jungle world?) and the fish ending up in the basket - only because it is an animal based story so I didn't like the idea that the fish were going to be eaten. Could they find something different? A fruit or vegetable so that no animals are harmed in the making of the book? Anyway well done to both you and Jonathan - it's shaping up really well! Thank you, Abie! I admit that I wondered whether the misuse of the word 'found' would make people wince, and agree about the incongruity of the Lost And Found office in a jungle. It wasn't planned, just stuck in when the story seemed to need it towards the end. Needs a rethink. And the point about the fish also makes good sense. Helpful points, all. Thank you.